Kiwi Coast has obtained the footage of kiwi interacting with Goodnature A24 traps. 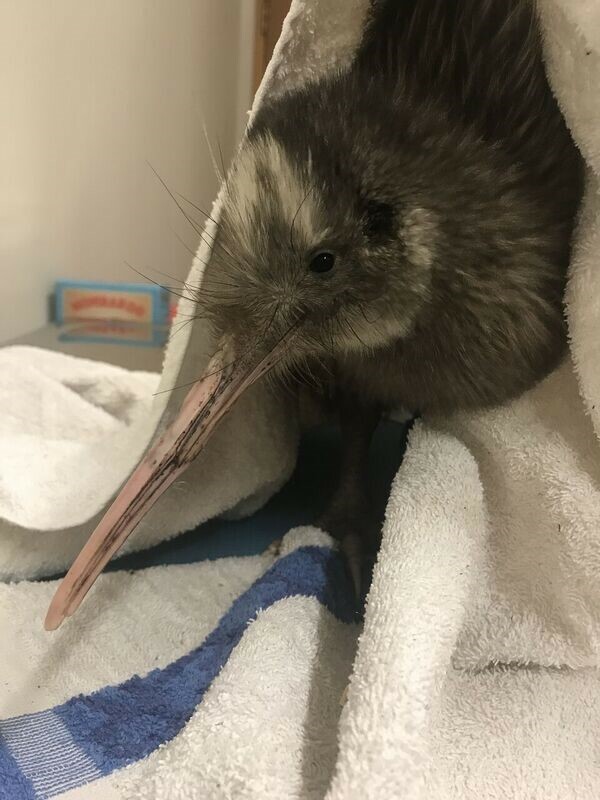 In December 2018 Kiwi Coast alerted Northland groups and projects that the Department of Conservation (DOC) had advised Goodnature traps needed to be raised 1m off the ground after they found that kiwi had sustained bill damage from the A24 traps. DOC’s Kiwi Recovery Group (KRG) Leader, Jess Scrimgeour, reported that five out of nine rowi at the Kaipupu Point Sounds Wildlife Sanctuary had been found with bill injuries from A24’s during routine health checks and mentioned that camera monitoring of disarmed A24’s at Willowbank Wildlife Reserve had captured footage of kiwi accessing the inside of the traps with their bills. When Kiwi Coast received feedback expressing disbelief that this could be possible, we requested the footage. “This is footage from one of 18 cameras and traps that had been placed on the island at 12cm and vertical. All the kiwi are between 1kg and 2kg. We are still reviewing the other traps, so we do not know whether there is just one random kiwi that has shown interest and it happened to be the first camera we looked at, or whether there are more. We have also observed a chick in captivity interacting with a trap. That’s why we have asked groups to be aware that a kiwi can get in to an A24 trap. We don’t know how many other kiwi would (i.e. how big the risk is), but we are exploring this further. If groups set the traps to 1m it would exclude kiwi, but likely reduce its ability to catch stoats. Because we can’t quantify either of these things, we don’t have the ability to be directive and therefore will allow groups to weigh the facts for themselves for now. Rowi are one of the five species of kiwi – the others being North Island brown, Little Spotted Kiwi, Roroa or Great Spotted Kiwi and Tokoeka. There have been no reports of injuries to North Island brown kiwi to date. Thirty seven Northland brown kiwi chicks were monitored during a research trial testing the efficacy of A24 traps at Trounson Kauri Park over the 2015/16 breeding season and no bill injuries were observed. Jess Scrimgeour is interested in hearing from anyone using A24’s in kiwi areas that may be able to help with further information. Jess can be contacted at: jscrimgeour@doc.govt.nz or alternatively contact Ngaire the Kiwi Coast Coordinator if you are concerned about your traps.